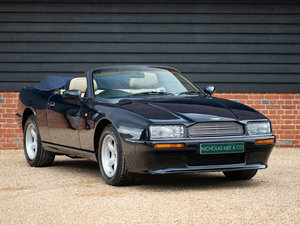 This is a 1993 Aston Martin Virage Volante convertible, LHD left hand drive, one of only 25 fitted with the rare 5-speed ZF manual gearbox in total and one of only 18 in LHD (source AMHT). 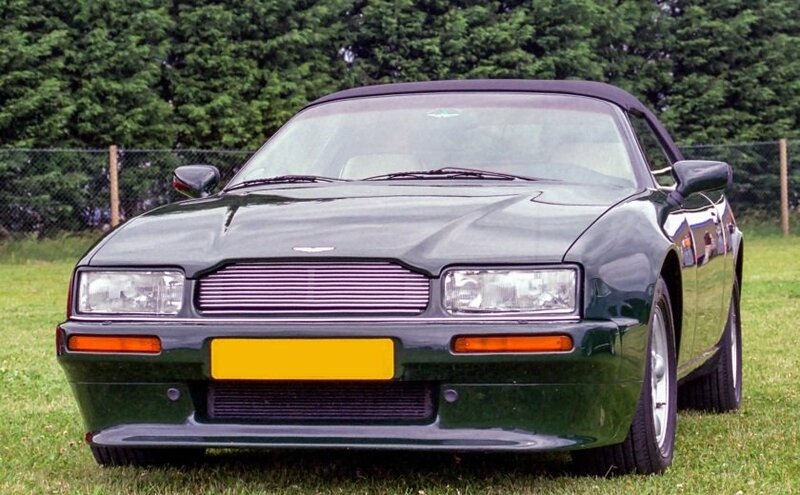 Original European spec car, delivered new to its first owner, a Swedish financier based in Belgium, on 15-12-1992. 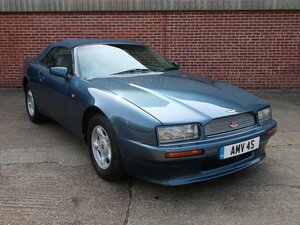 In the early 2000's, the vehicle made it way to the Netherlands where it has been in the collection of the last late custodian ever since, an AMOC section chairman, and saw very little use having only covered less than 12,000 miles from new. Finished in British Racing Green with magnolia leather trim piped green and spruce Green carpets. The car has been looked after by various main dealers & specialist to include René Michiels and Cibo Motors and more recently Rikki Cann. Recent work includes new fuel pumps and a service. The front grille has been updated/personalised with an LE grille and although this a deviation from factory-spec, we must say it looks fantastic. Currently EU registered but can easily be put on NOVA, MOT'd and registered in the UK. Viewing by appointment only in Smarden, Kent or Mouscron, Belgium. P/X welcome. Finance available. We can arrange to ship the car worldwide. Genuinely interested parties only please.